Sweet, Sweet Victory in North Carolina! Our candidate for county commissioner in Green County North Carolina, Jerry Jones was elected to office on November 6th. His election is remarkable since we had barely gotten on the ballot in that state for the first time ever earlier this year. The race was a two way race and Jerry received 3,241 votes compared to his opponent who received 2,916. For our candidate to have won with 52.64% of the vote is exciting, to say the least. Not only that, but we had other candidates who also did remarkably well in their races nearly all of which were three way races. 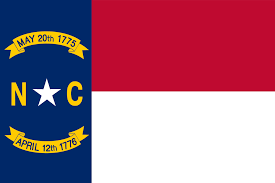 In the few short months that the party has been on the ballot in North Carolina, that state now places 10th of all the states in Constitution Party registered voters. The leadership in that state has been most impressive. Al Pisano and Kevin Hayes make a great team and were key players in us getting on the ballot and then finding good candidates to file for office in a very short time. Over all, the party did well this election. We were the only minor party that maintained ballot position in all of the states that we ran candidates. This will enable us to focus on ballot access in other states in the next two years. All of the other parties did lose ballot access in some states which means that they have to re-qualify all over again to regain ballot status. The thanks for the party’s accomplishment goes to the state leaders who ran candidates for state wide office and garnered the required vote percentage to retain our ballot status. In all we had candidates running for office in ten states. By adding up the top state wide race vote totals in each state (or in two cases the top US House race vote totals), our candidates received a combined total of over 388,000 votes. Those numbers will increase as the final vote tallies are tabulated in each of the states. Those candidates and their vote totals should be available for viewing shortly. Take some time to go onto the website and check those numbers out. A number of our candidates did exceptionally well. It is interesting to note that Richard Winger reported that the vote total received this year by minor parties was the lowest vote total since 1982. In view of this the Constitution party did well to hold its own. We seemed to have bucked that trend. Our webmaster reported to me that the number of hits on our national website hit an all time high on Monday November 5th and that record was exceeded the following day, which was the day of the General Election. The vast majority of those who accessed the web site, spent most of their time on the party platform. That was very encouraging news and is an indication that it is our platform that draws people to the party. Paul does an impressive job with the web site. In further recent news, I learned from Richard Winger of Ballot Access News that only the Constitution and Libertarians Parties gained in voter registration since the 2016 Election. All other parties including the Republican and Democratic Parties declined in voter registration. Our voter registration totals increased by 14.98 % since 2016. That signifies that our message does appeal to the public. We simply need to find better ways to communicate to the public that there is a party that supports and promotes their values. My sincere thanks to so many of you who donated to the party to make this all possible. Your support is deeply appreciated. Without your financial support we could have never achieved ballot access in North Carolina or New Mexico and we would not have been able to secure the required 2,000 signatures per candidate to get Terry Larson and Andrew Zuelke on the ballot in Wisconsin for Attorney General and State Treasurer respectively. I look forward to great things happening in 2019 and 2020.